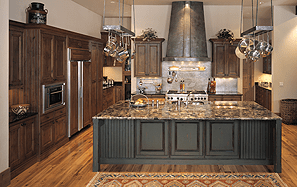 Finding new avenues in kitchen design can be a challenge. Everyone who watches television can see a new kitchen setup with every new television show involving a celebrity chef. Unfortunately, we are not celebrity chefs. So, the only way we can can set up a kitchen in our new home is with practicality in mind. First, the kitchen must suit the family. Your family is uniquely-sized with kids, possibly grandkids, aunts, uncles, nieces and nephews. Building a kitchen around the ability to feed your immediate family, and extended family on holidays, is the best course of action. 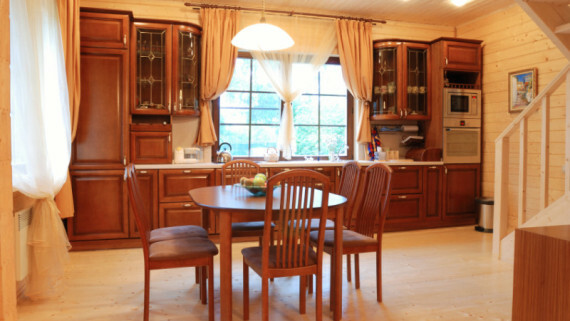 After that, you may pursue a kitchen design that looks great for dinner parties or on television. 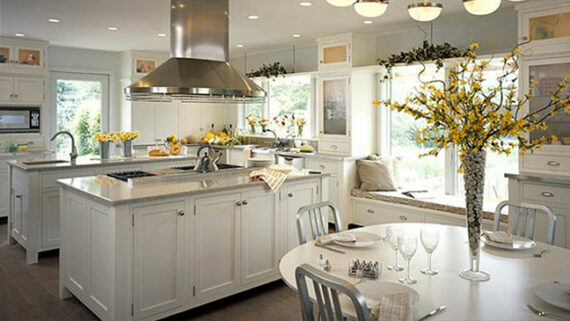 Then, there are the new trends in kitchen design. Think them over, and combine the few that you enjoy the most. While it might seem that the dawn of 2014 would bring in more color options, black and white is becoming a perfect base for decorating. The homeowner that has an eclectic style can use black cabinets and a white countertop as a base for any number of interesting design options in the room. Yes, the farmhouse basin is officially in-trend. While you might have wanted a farmhouse basin in the past (but knew that it looked a little off), you can now have a farmhouse basin in a contemporary kitchen space. Even a farmhouse basin that “interrupts” a more modern design is a welcome addition to a busy kitchen. Don’t be afraid to have tons of prep space built into your new kitchen. 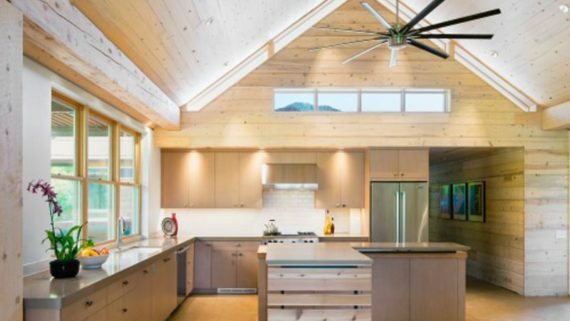 The best chefs in the world need just as much prep space as they do cooking space. Also, you can have people sitting at the counter while you’re cooking for more intimate get-togethers. Think Molto Mario. Instead of a faucet simply gushing water into your new farmhouse basin, your faucet should feel like a part of the structure. The faucet should look as if it rose from the framing of the house to generously provide water to the family. A more “architectural” faucet is easy to find in today’s market, and they do not have to look flowery to be beautiful. Finally, if you are having a hard time reconciling black and white as a color base, use something else! Any neutral color will host other colors very easily. 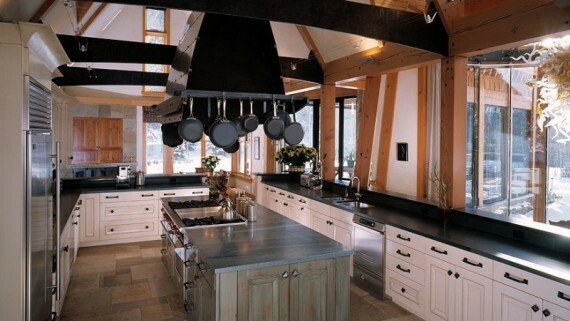 Just think of the color base of the kitchens as your favorite jeans, then put any shirt you want with those jeans. This means you can use neutral colors to allow for any number of vibrant colors elsewhere in the room. 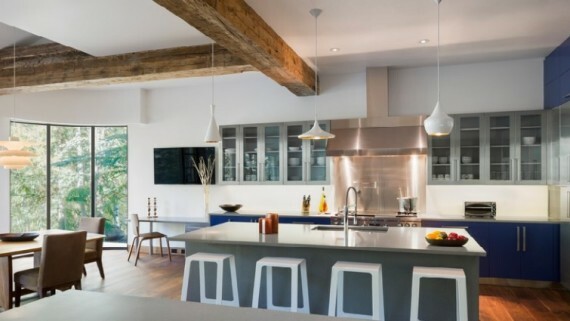 Don’t be afraid of new kitchen designs when you’re pulling them together. 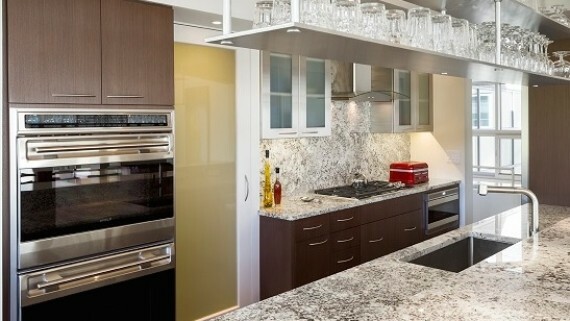 If you have trouble deciding what to do, or you’re ready to get started, contact us for more information on our kitchen design and installation services.